Decrypt Media: A brief history of the SEC’s actions in crypto land. The Texas Department of Banking has issued Supervisory Memo 1037, concerning “Regulatory Treatment of Virtual Currencies Under the Texas Money Services Act.” Of particular note are the sections on fiat-backed stablecoins, the main example being our boi Tether — if you deal in these things at all, they’re “money” enough that you need a Texas money transmitter license. The memo is addressed to “All Virtual Currency Companies Operating or Desiring to Operate in Texas” — and the wording seems to include anyone accepting stablecoins as payment. The European Banking Authority calls for cross-EU rules on crypto assets, to harmonise the present patchwork quilt of regulatory loopholes. There’s a draft “blockchain token” bill for Colorado, to exempt some tokens from being considered “securities.” Note that this can’t preempt the SEC or federal law — only Colorado state law. Confirmed after weeks of speculation — Jihan Wu and Micree Zhan, the co-founders and co-CEOs of Bitcoin mining giant Bitmain, are stepping down, to be replaced by product engineering director Wang Haichao. “Wu and Zhan will move away from the company’s day-to-day business activities but will still make final calls on big decisions.” They also still own 58% of the company — Wu 21%, Zhan 37% — with 10-1 voting rights over ordinary shareholders. Chris Boden is the guy in Grand Rapids, Michigan who did such a bad job of being a Bitcoin miner that Homeland Security got involved and the charity he ran, the Geek Group, a.k.a. the National Science Institute, was destroyed. Ethereum is totally decentralised! Except the bit where everything relies in practice on Infura, run by ConsenSys — because a fully-synced Ethereum node requires 130 gigabytes of disk space, and a full archive node 2 terabytes. Lane Rettig ran one sync node and one archive node on Amazon Web Services, US East, SSD disk, and it cost him $1216/month. The node count went from 30,000 at the start of 2018, to 9500 by the end. In a shock to nobody, Tron turns out to be hilariously incompetent technically, and held up only by marketing bafflegab. BitTorrent, Inc. had been contemplating a blockchainish token as an incentive to seed torrents well before Tron bought the tattered and flayed hide of what was once a company — and there’s no way on earth Tron could scale up to real-life loads on such a system. (Because blockchains don’t scale.) You’d almost think the whole point was so Tron could run another ICO. Tron will airdrop BitTorrent Tokens to all Tron token holders. Tron founder Justin Sun’s verdict on their plagiarism of the IPFS and Filecoin white paper? “We have come to consensus that this did not happen. And we have moved on.” A bold approach, considering you were totally busted. Moloch seems a perfect storm of smart guy dumbness. They want to do a Decentralised Autonomous Organisation — a smart contract program that no human has control over, and which cannot be altered. They realise how disastrously this idea worked out last time — but they’re so smart, they’ll think really hard, and they’ll get it right this time. I anticipate popcorn if Moloch ever get a system up. The Kraken crypto exchange had 475 FBI subpoenas for customer data last year. NEO.Girl, the World’s First Blockchain-based Girlfriend — created for a NEO dapp competition. It’s every bit precisely what you’d expect. Notice how bored she looks — any moment now, Fiat Chad will steal her away. If you have the appropriate shame at still holding cryptos, you can safely dispose of them at the LibreOffice Donation Page — they accept about a zillion different coins via CoinGate. 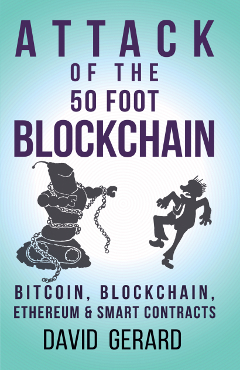 Attack of the 50 Foot Blockchain was written in LibreOffice, so I support this use case. I feel like I am constantly reading about transaction limits for withdrawals of money from the crypto ecosystem, while I much less frequently read about transaction limits for putting money in. Similarly anti-money-laundering and know-your-customer procedures seem to constrain people from taking money out of cryptocurrencies more than they constrain people trying to put money in. It is an odd one-way ratchet. The big question about this duvet cover, with matching curtains (archive), is why they bothered making it for a double bed. Daniel Goldman: We Need Better Terms for Everything in Cryptocurrency (including “Cryptocurrency”). Terence Corcoran, Financial Post: Blockchain’s groundbreaking, world-shaking, life-changing technology revolution has been cancelled — with quotes from me, concerning my jealousy of the report from McKinsey having come up with the name “Occam problem” for blockchain’s lack of use cases where it’s the simplest solution. 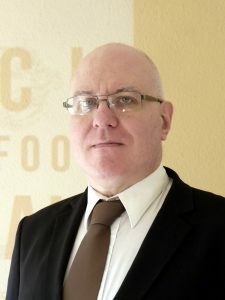 I was interviewed for CoinSpice’s Milk podcast. This went really nicely, and is under an hour! well, I got the book at least! I watch the crazy, produce papers from the resulting comedy godl, and papers then feed the ability to keep getting research grants to watch the crazy and mine comedy godl. welcome to crypto, where everyone has a PhD in money from the University of Wikipedia. they dose up whales with mdma and suddenly it’s "consensual"